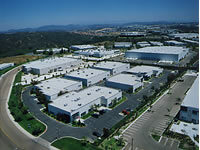 Pacific Starr Group (“Asset Manager”) provided asset management services for the Owner of an industrial park consisting of six industrial buildings in San Diego, California (“Owner”). Since sales to owner/users began to achieve higher prices than sale of a single, leased integrated property, we recognized an opportunity. Upon Owner’s approval, we sub-divided the property by creating a Planned Industrial Development (PID) resulting in six, individual buildings, each on its own fee lot. This enabled Owner to either sell each individually to an owner/user buyer or to lease individually and then sell to smaller, individual buyers at a higher, retail price creating a broader market for exit and a material increase in total value and liquidity. The result was successful disposition through six individual sales—some to owner/users buyers, others to investor buyers—at significantly higher prices compared to selling to one institutional buyer.